From Komodo dragons to 400 million year old caves, South East Asia's national parks have it all. Each of the countries we visit are home to a variety of stunning nature reserves and exotic wildlife. 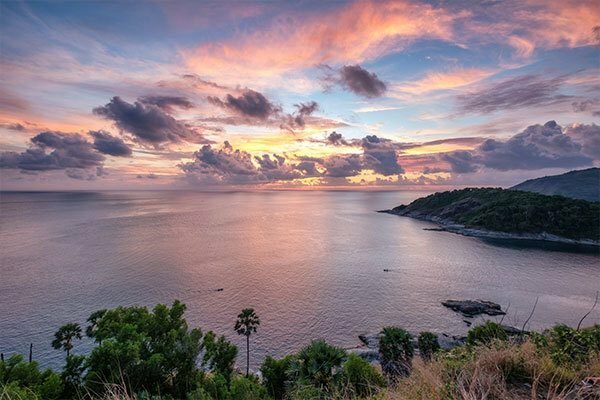 Join us out in paradise for your chance to experience these top 5 national parks in South East Asia first-hand! 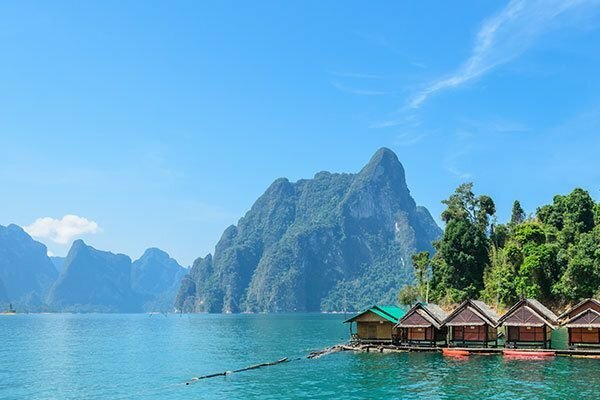 Located in the Surat Thani province of southern Thailand, Khao Sok National Park is arguably the most peaceful of our top 5 national parks in South East Asia. Dense rainforest jungle exists alongside man-made Cheow Lan Lake, whose waters are home to impressive limestone karsts. With a fresh-water lake over 80 metres deep, Khao Sok is one of the most ecologically diverse national parks in South East Asia. The lake’s waters are home to around 42 different types of mammal! Spend your time in Khao Sok relaxing on a longtail boat before seeking out some adventure and cliff-jumping off karsts. All of our southern Thailand tours visit this stunning part of the world, so join us for a hassle-free way to enjoy the park’s tranquility. Whilst there, experience the magic of staying in floating bungalows, surrounded by natural beauty. Designated a UNESCO world heritage site in 2003, Vietnam's Phong Nha-Ke Bang is one of the more hidden national parks in South East Asia. Any caving enthusiast’s paradise, Phong Nha-Ke Bang is home to rock formations that are around 400 million years old. The sleepy town of Phong Nha is the base for travellers wishing to explore the surrounding nature and is home to just 1,000 locals. 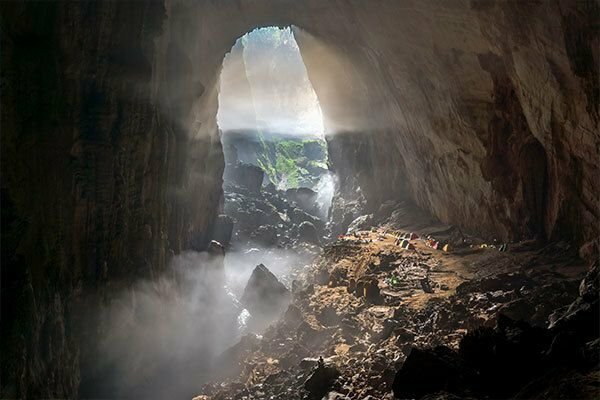 The infamous Hang Son Doong – the largest cave in the world – is only reachable via a £3, 000 three-day expedition and even has its own climate. To visit some of the more accessible caves in Phong Nha, join us on our 17 Day Vietnam Explorer. Ease your way in with a wander through Paradise Cave (Thien Duong). Then, continue exploring one of the longest cave systems in the world with a zip line into mud-filled Dark Cave (Hang Toi). Not the best for claustrophobics, but an incredible experience nonetheless! 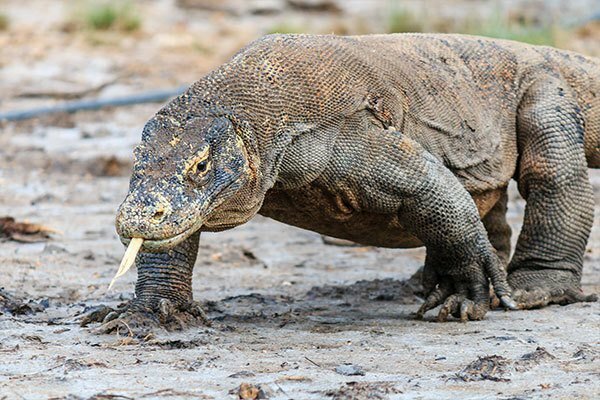 Komodo dragons are probably not what first spring to mind when you think of national parks in South East Asia. Located between the islands of Sumbawa and Flores, Komodo National Park was originally set up to help protect the native Komodo dragons. Nowadays, it’s three islands are home to a wide range of biodiversity. Also a designated World Heritage Site, Komodo National Park is home to more than just wildlife. The aptly named Pink Beach is one of just seven pink beaches in the world. The beach gets its natural pink colour from microscopic animals who produce a red pigment on the surrounding coral reefs. We visit this natural wonder on our Komodo Island Hopper, after spending the morning snorkelling with manta rays. The viewpoint on Padar Island provides a picture-perfect end to out time on Komodo Island, affording panoramic views over the neighbouring scenery. 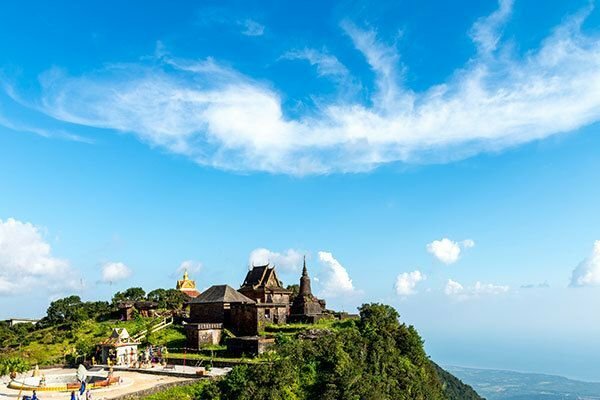 One of the less well-known national parks in South East Asia, Cambodia's Bokor National Park is located just outside the French colonial town of Kampot. A twice-abandoned hill-station, Bokor is one of the most eerie national parks in South East Asia. Given national park status in 1993, Bokor spans four different Cambodian provinces and is home to everything from leopard cats to gibbons. Derelict buildings are part of the Khmer Rouge legacy, with Bokor seeing many horror movies shot there. Views from the abandoned casino over to Phu Quoc Island are spectacular once the hill-top mist clears. During rainy season, the impressive Popokvil Waterfall is also worth a visit. The winding journey up to Bokor takes around an hour and half from Kampot town and it’s well worth it. Mt. Bandilaan National Park is situated on the Philippines' tiny island of Siquijor. One of the more traditional national parks in South East Asia, Mt. Bandilaan is home to much of what you’d expect. Traditional flora and fauna populate the park’s peaks, with the Bandilaan Butterfly flying amongst caves and natural springs. At 557 feet high, the Metal Observatory Deck allows visitors to witness all-encompassing views across the island of Siquijor. ‘Stations of the Cross’ can also be found within Bandilaan, making the trek somewhat of a pilgrimage for devout visitors. Also worth a visit is the Cantabon Cave, home to jewel-like stalagmites that glow in the dark. A fitting feature of a national park situated on an island famed for its mystical healers. If you want to enjoy some of the most spectacular national parks in Asia, why not check out our tour passes! For more information please feel free to get in touch with the TruCrew at info@trutravels.com or check out our Facebook page.